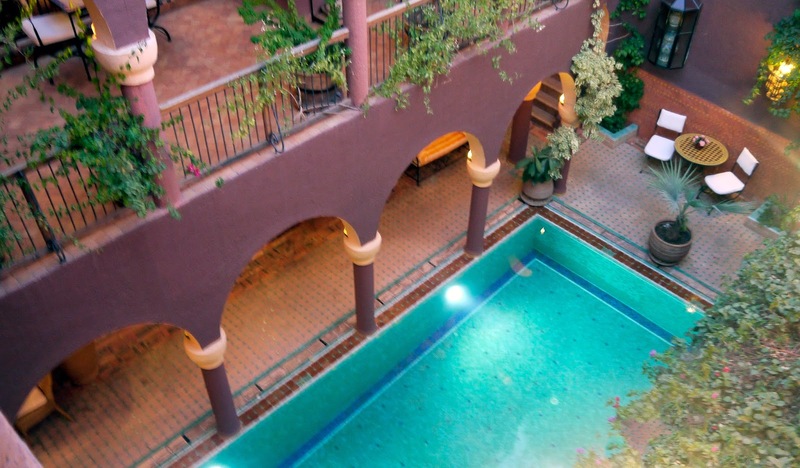 Set centrally inside the bustling medina of Marrakesh is the hidden gem that is Riad Noga. 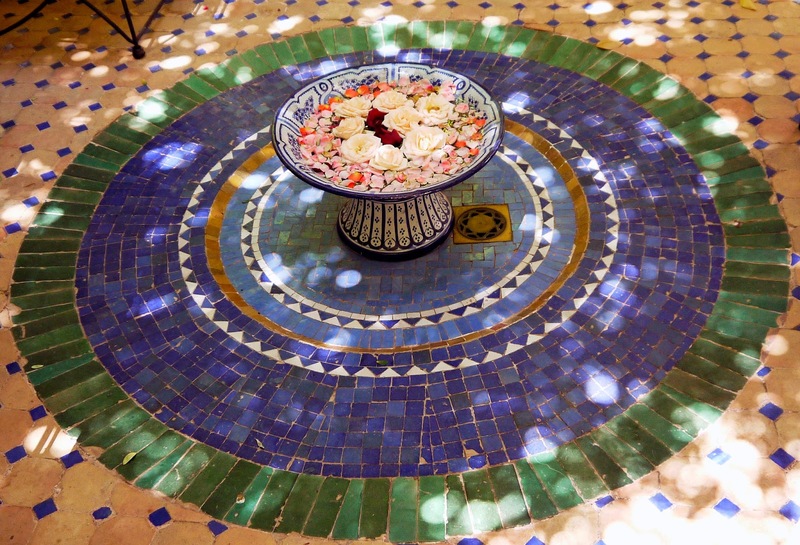 From the moment you step foot inside the Riad every single one of your senses will be delighted. 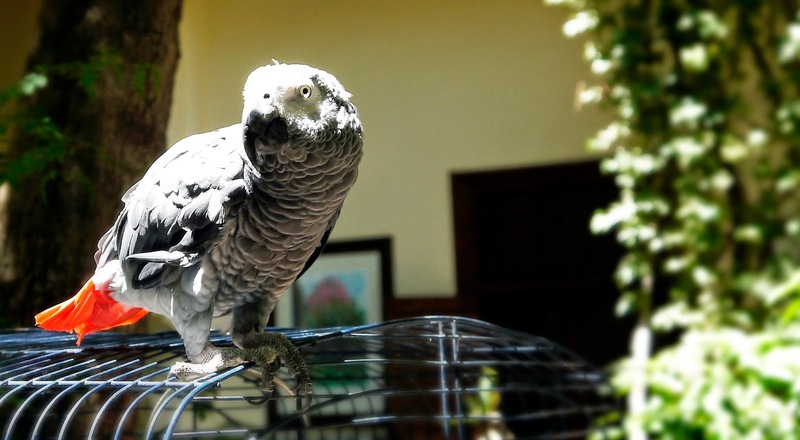 The beautiful chirping of the birds who have made the Riads trees their home to the soft sounds of lapping water from the Riads enormous pool, to mouthwatering smells wafting from the Riads kitchen you will fall in love Riad Noga from the very beginning. Riad Noga is impeccably decorated with beautiful paintings, fruit trees, flowers, books and lounges located on all three of the floors. 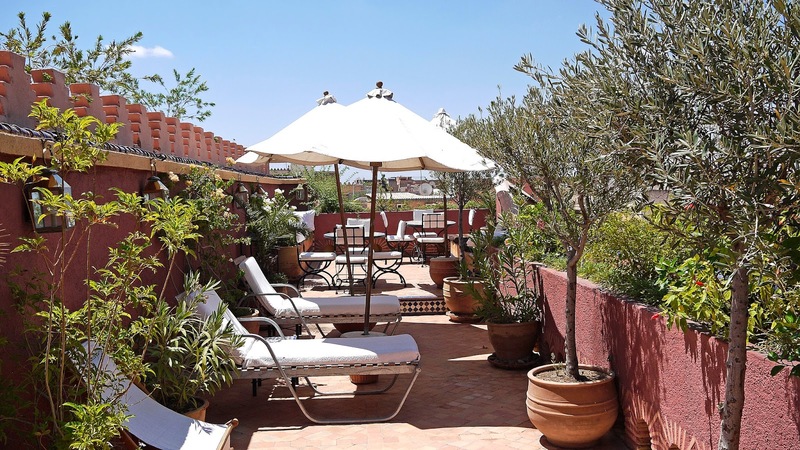 The three rooftop terraces and numerous courtyards are adorned with luscious greens, flowers and lounge furniture that is both comfortable and luxurious, allowing you to relax and enjoy the peaceful retreat that the Riad offers you. 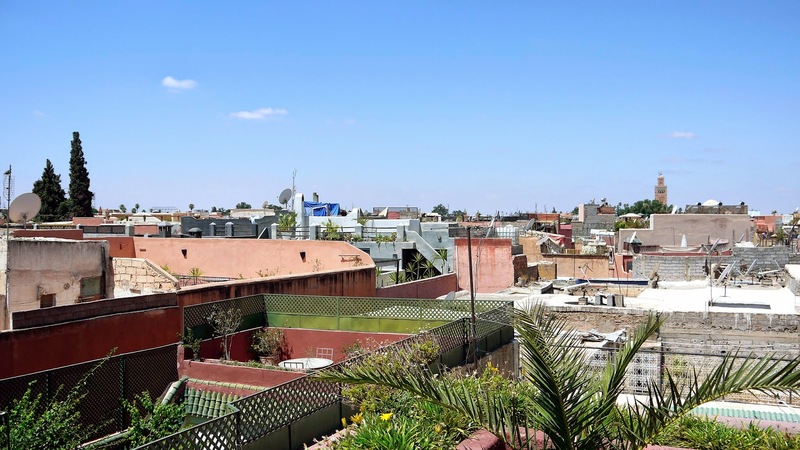 The rooftop terraces also offer you the most amazing, panoramic views over the Medina and stretch all the way to the Atlas Mountains. 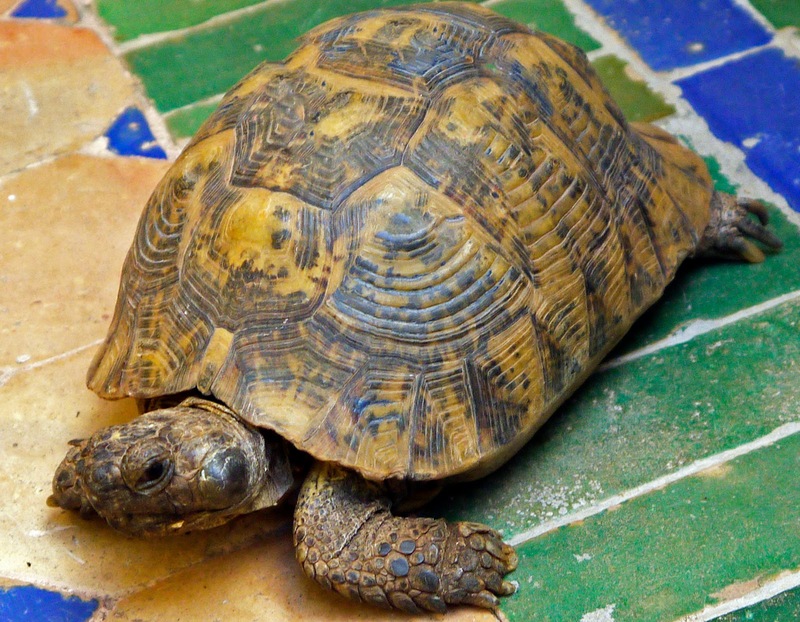 The stunning central courtyard is complete with a friendly parrot, a tortoise and many local birds who have made the Riad’s fruit trees their home. 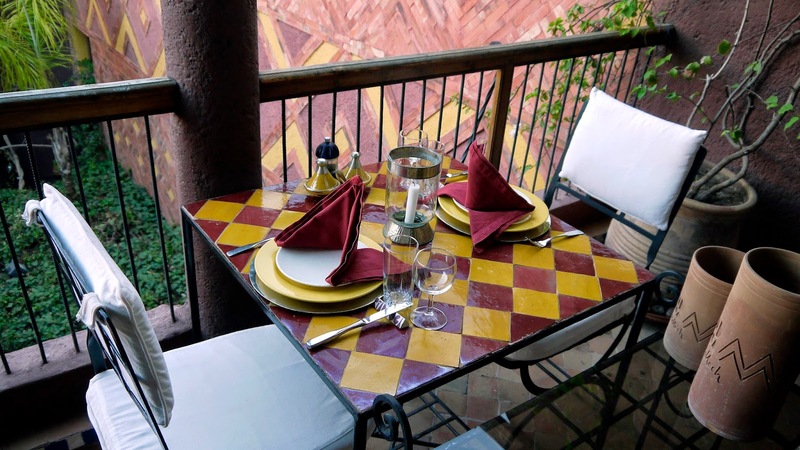 The Riad’s location is ideal, perfect for exploring the nearby Souks & Bazaars, strolling the never ending alleyways and making your way to the famous Jemaa El Fna square. 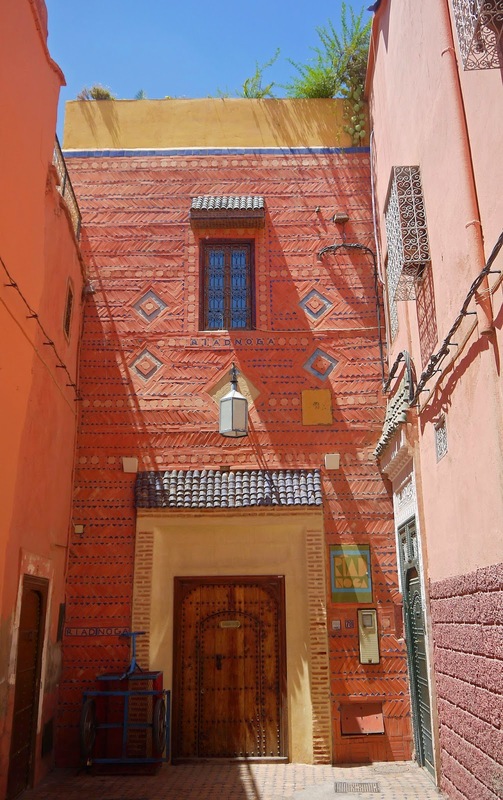 Despite the labyrinth-like winding alleyways and streets, Riad Noga is surprisingly easy to find and make your way back to after a day out exploring Marrakech. 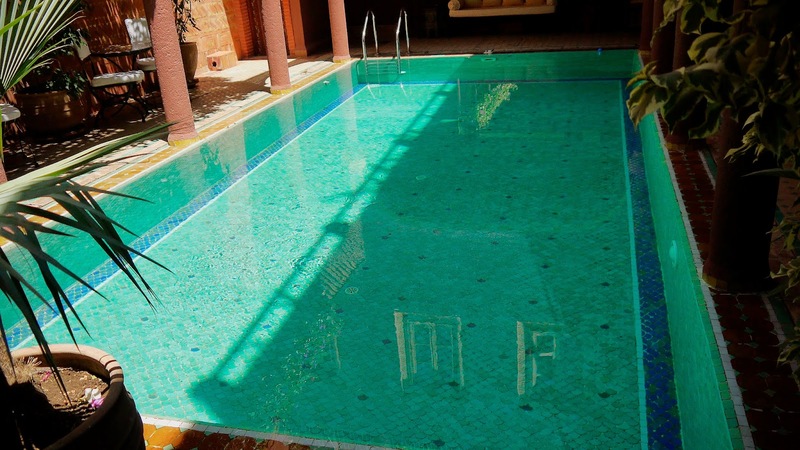 Upon arriving back the huge, sparkling pool was a perfect 24degrees; an absolute saviour after hours of strolling (and getting lost) around the busy, hot medina. 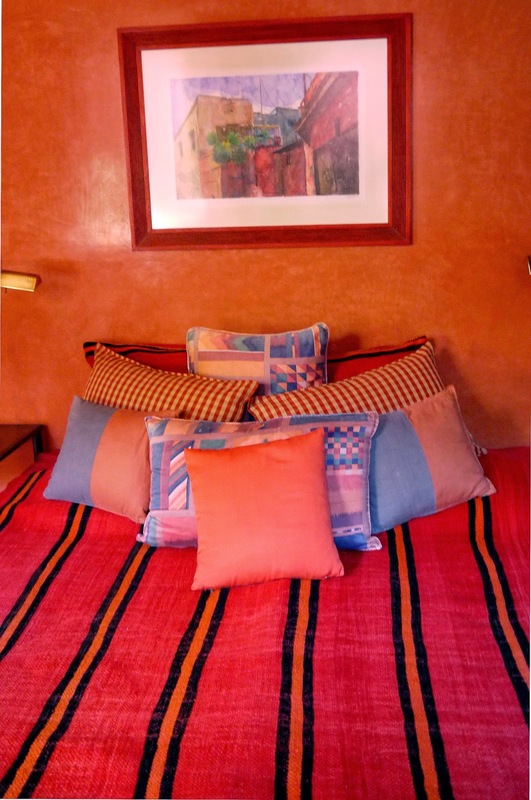 Riad Noga has only 7 double rooms making your stay intimate yet luxurious with plentiful spaces for you to explore, relax and enjoy without ever feeling crowded. 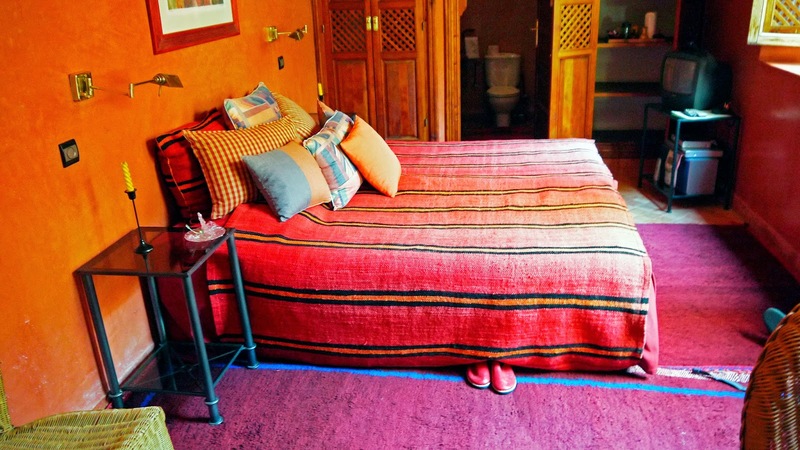 Each of the Riad’s rooms are immaculately decorated and themed in a different colour. We stayed in the gorgeous Red Room, a room so romantic, comfortable and luxurious I never wanted to leave! The decor of this room and the entire Riad is absolutely immaculate down to the finest details. The rooms are equipped to meet your every need with toiletries, complementary water, fresh fruit, nuts and homemade cookies, air conditioning, a kettle with a selection of teas and coffee, towels, his & her robes and slippers just to name a few. 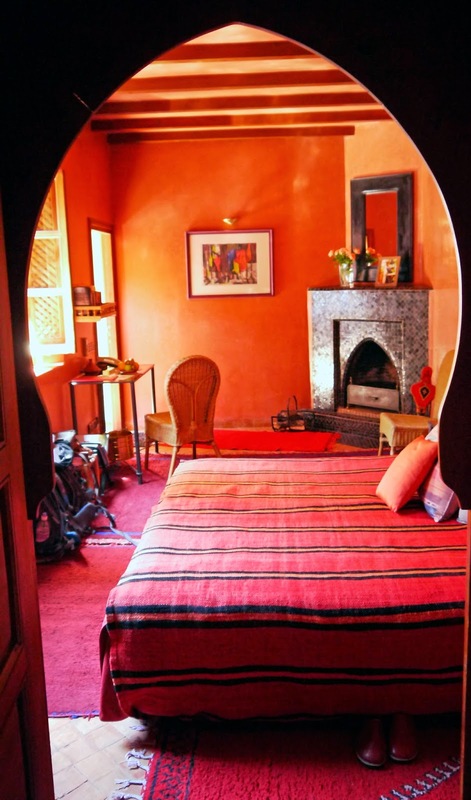 The Red Room even has a working fireplace which while we did not need in the middle of summer, would be perfect on a trip to Morocco during winter! 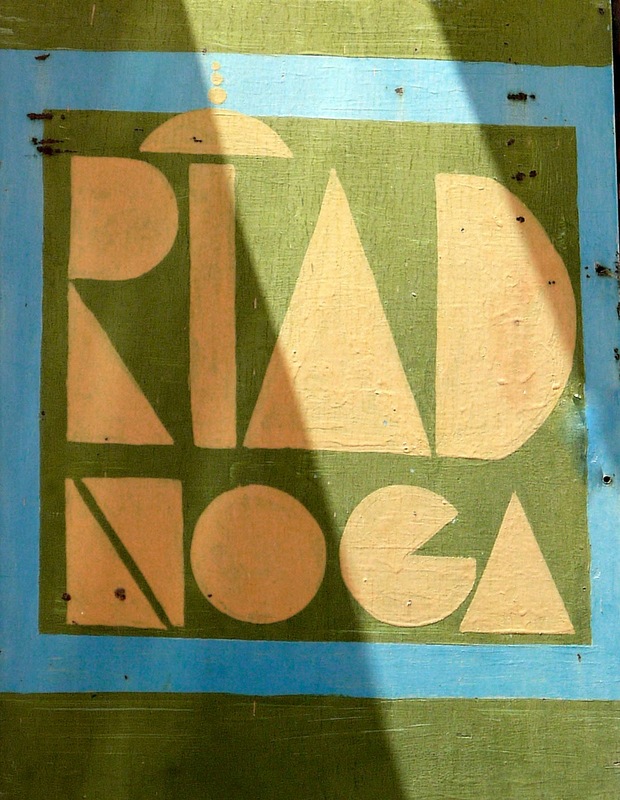 The beautiful staff make Riad Noga feel as if it is your home away from home, they are attentive, friendly and ready to assist in any way particularly with our constant questions regarding directions around the Medina! They made every effort to ensure our stay in both the Riad and Marrakech was of the highest quality possible. Choosing to dine in the Riad was one of our best decisions of the trip as we were served the most tantalising three course meal. After being ushered to our private table located on the beautiful upper courtyard, overlooking the pool we were served a delicious, plentiful and beautifully presented meal. We are still raving about the chicken Tagine our tastebuds were seduced with. Being our first night in Morocco this meal set our expectations of Moroccan food to the highest level for the rest of our trip. 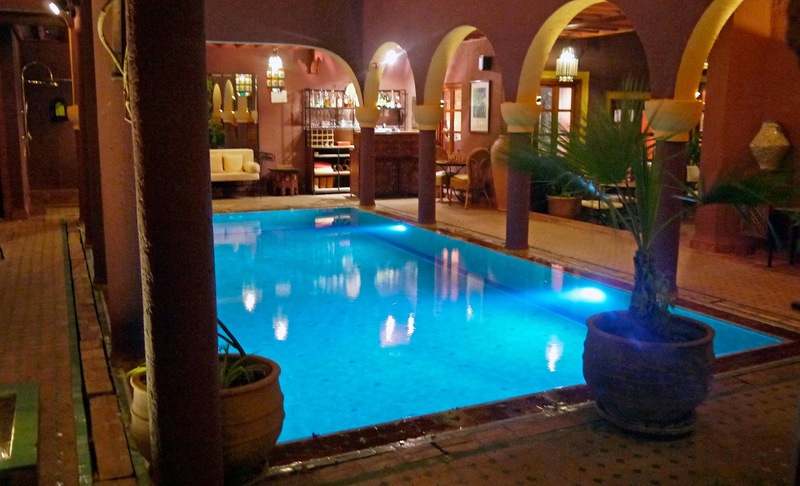 A stay in Riad Noga is luxurious, peaceful and intimate, they truly meet your every need ensuring your perfect stay. 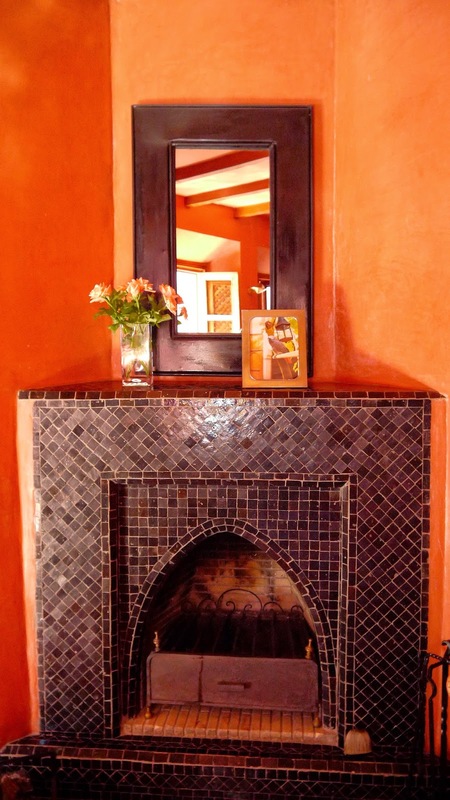 I couldn’t recommend them more highly for your next stay in Marrakech, and we are eagerly awaiting a return trip! 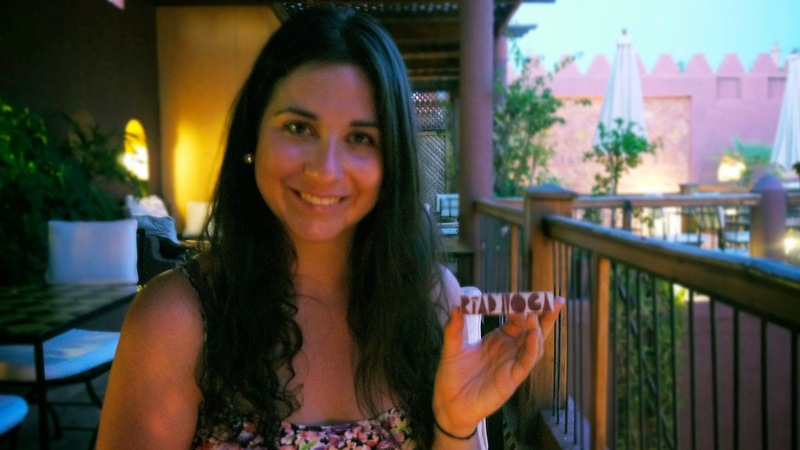 The Aussie Flashpacker was welcomed to Riad Noga as a guest.